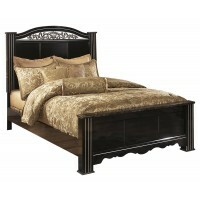 It’s hard to say what stands out most about this king poster bed. 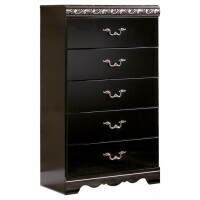 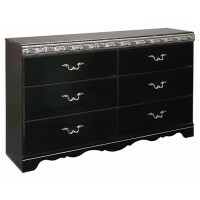 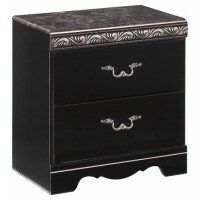 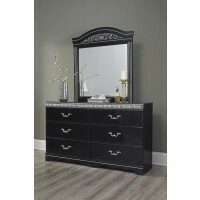 Glossy dark finish, metallic scroll moulding, faux stone top and intricate handles are all shining stars. 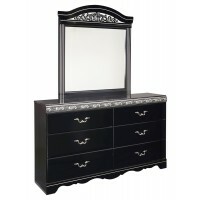 A bright addition to traditional or Hollywood regency décor. 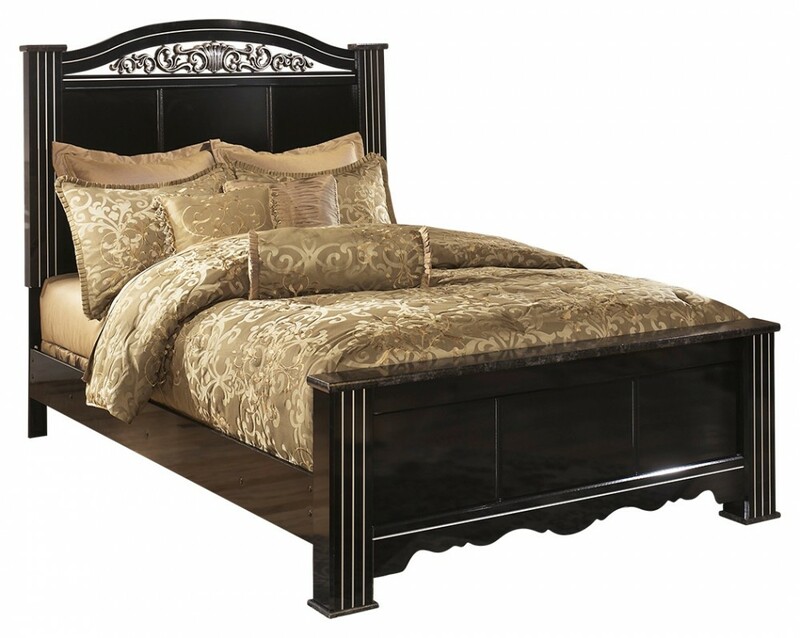 Mattress and foundation/box spring sold separately.